Alhaji Isola Balogun-Fulani has rejected and dismissed the purported dissolution of party at the ward – Royal Times of Nigeria. 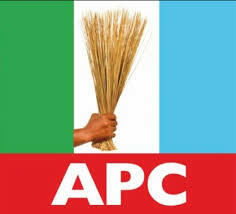 The All Progressives Congress in Kwara State under the Chairmanship of Alhaji Isola Balogun-Fulani has rejected and dismissed the purported dissolution of party at the ward, local government and state levels in Kwara State by the Adams Oshiomole-led National Working Committee. The party said the dissolution is not only unlawful but also null and void. The party in a statement issued by its Publicity Secretary, Suleiman Buhari, said there is no lacuna in the party leadership in Kwara and no ground for the purported dissolution. He also argued that the emergence of the party leadership at the ward, local government and state levels in Kwara followed due process and can therefore not be overthrown or dissolved by an unlawful declaration from Abuja. The Balogun-Fulani-led executive accused the national Chairman, Adams Oshiomhole of dictatorship who is always willing to trample on the rights of other party members whenever his personal interest is involved. The party executive urged its members to remain calm as it devises legal measures to guarantee the protection of their rights.